Rev. Francis Emerick, CSV, died Friday, Dec. 1, 1989 of an apparent heart attack at Resurrection Nursing Pavilion where he was a resident. He was 78 years old. Frank was a Chicago native, a student at Quigley Prep and later St. Mel’s High School. 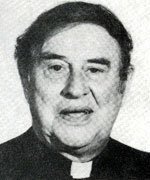 He graduated from St. Ambrose College in 1934 and entered the Congregation in 1936. After the profession of vows in 1937, he was assigned to work with the Catholic Youth Organization in Chicago and then in 1939 began studies for the priesthood in Washington, D.C. Following his ordination in 1942, Frank served at Cathedral Boys High School (1942-1943), St. Rita High School (1943-1944), St. Philip High School (1944-1951), St. Charles Training School (1951-1952), and Loyola University (1952-1960). In 1960 he left education to begin pastoral ministries at Kankakee State Hospital (1960-1968), and later at two parishes in Chicago, St. Maurice and Our Lady of Charity. 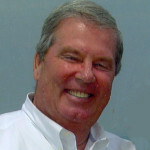 Frank retired to Florida in 1976 and returned to the Province Center last year. A Mass of Christian Burial was held at 11:00 a.m. on Monday, Dec. 4, 1989 at the Province Center. Visitation preceded the Mass at 9:00 a.m. in the Chapel. Burial was at Queen of Heaven Cemetery in Hillside. Father Emerick is survived by one sister, Mrs. Genevieve Smardo. Please remember him in your prayers and gather to celebrate Eucharist for him and for all the deceased members of the Congregation.